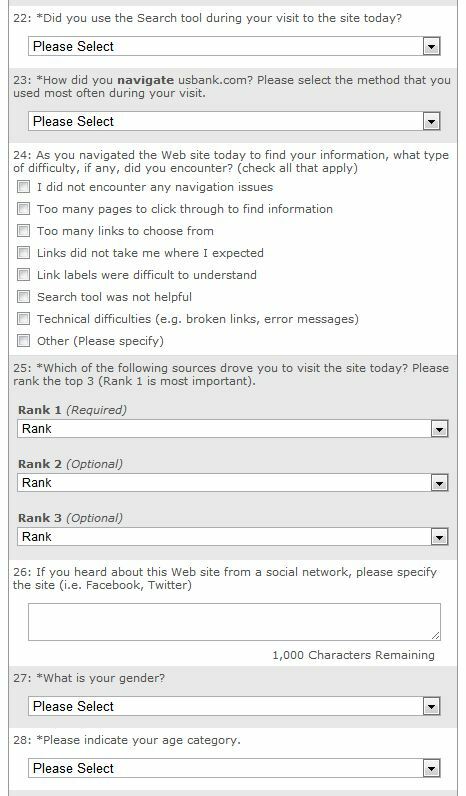 Website Usability Survey Questions from US Bank – these questions are a good addition to our survey question bank. Nothing drives me crazier than a website that doesn’t work. Okay, that was dramatic – it’s one of the things that drives me crazy – among many. Seriously, in this day and age, we have a basic expectation of how a website should function,the pageload of the website, and the basics of human-computer interaction. As we begin using a website, our past experience comes into play. This is called a cognitive apparatus – it’s what colors our expectation and our experience. And, when that expectation is not met, we become dissatisfied customers and clear Detractors in the NPS Verbatim. 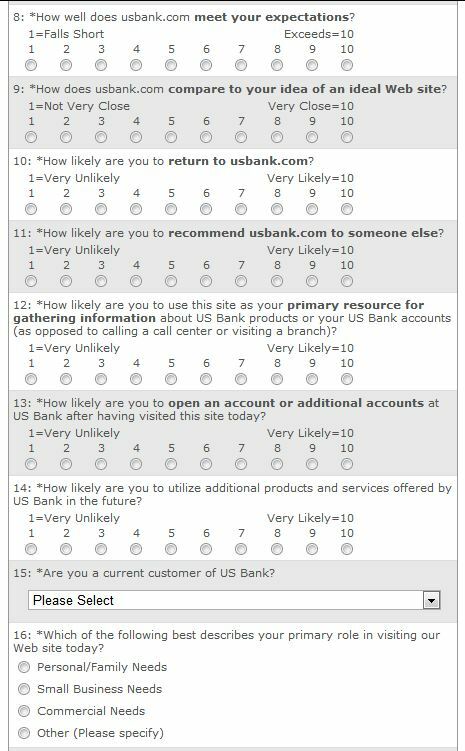 Which is why I found this survey from US Bank interesting and refreshing. 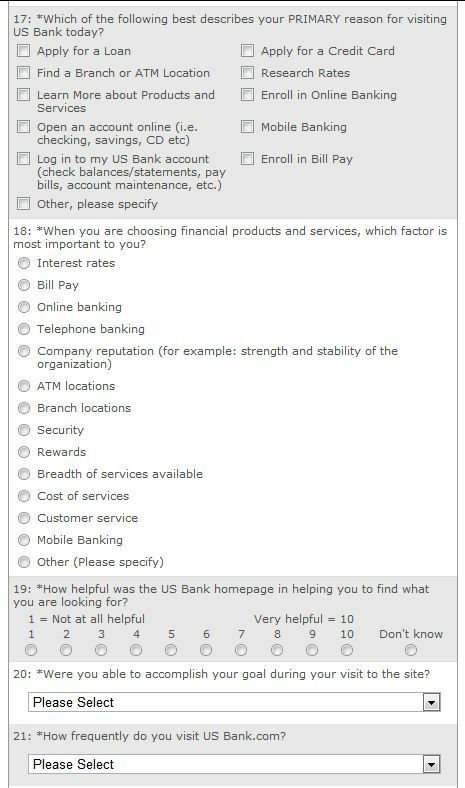 The survey’s aim was to learn about my experience while banking online on the US Bank’s website. While banking, I was randomly invited to partake in a customer satisfaction or website experience survey. Below is the survey, followed by the exact questions I was asked in the survey. Below are the actual questions; I think these are great questions that might be helpful as you incorporate surveys into your customer experience program. Please rate how well usbank.com is organized. Please rate the options available for navigating usbank.com. Please rate how quickly pages load on usbank.com. 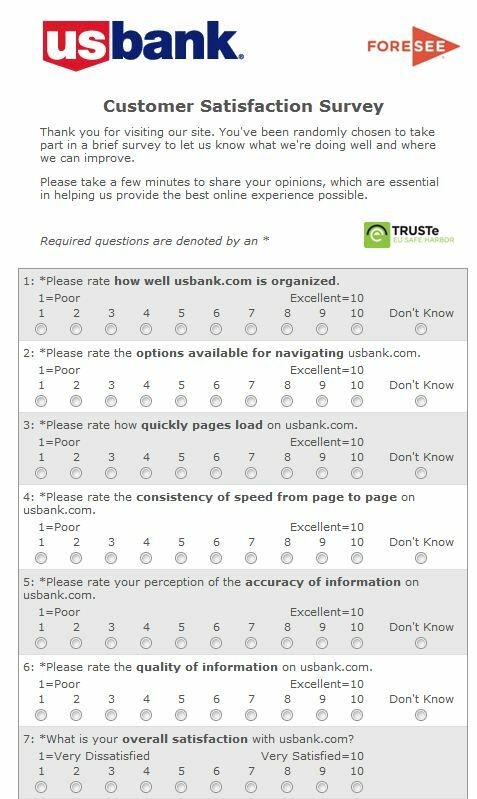 Please rate the consistency of speed from page to page on usbank.com. 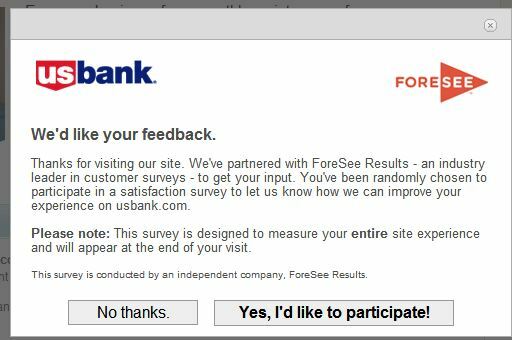 Please rate your perception of the accuracy of information on usbank.com. Please rate the quality of information on usbank.com. What is your overall satisfaction with usbank.com? 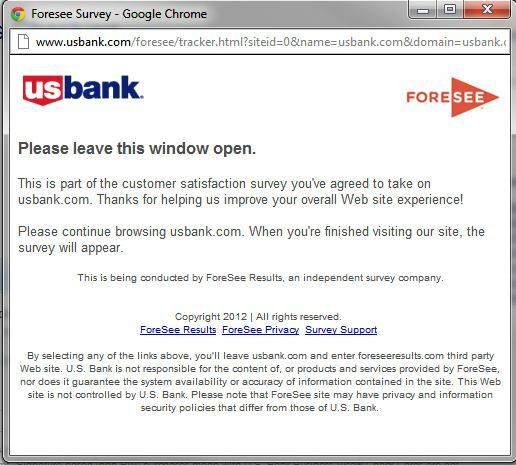 How well does usbank.com meet your expectations? How does usbank.com compare to your idea of an ideal Web site? How likely are you to return to usbank.com? How likely are you to recommend usbank.com to someone else? 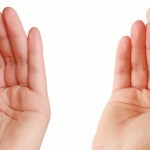 How likely are you to use this site as your primary resource for gathering information about US Bank products or your US Bank accounts (as opposed to calling a call center or visiting a branch)? How likely are you to open an account or additional accounts at US Bank after having visited this site today? How likely are you to utilize additional products and services offered by US Bank in the future? Are you a current customer of US Bank? Which of the following best describes your primary role in visiting our Web site today? Which of the following best describes your PRIMARY reason for visiting US Bank today? When you are choosing financial products and services, which factor is most important to you? How helpful was the US Bank homepage in helping you to find what you are looking for? 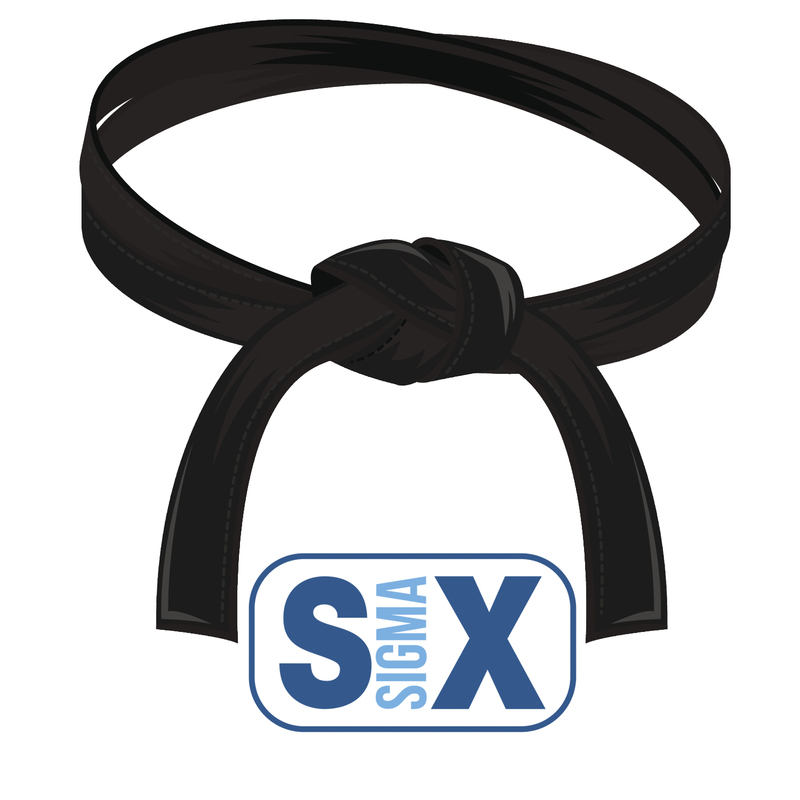 Were you able to accomplish your goal during your visit to the site? How frequently do you visit US Bank.com? Did you use the Search tool during your visit to the site today? How did you navigate usbank.com? 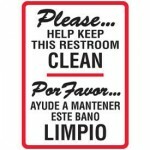 Please select the method that you used most often during your visit. Which of the following sources drove you to visit the site today? Please rank the top 3 (Rank 1 is most important). Please indicate your age category. Was there any aspect of your visit that stands out most in your mind? 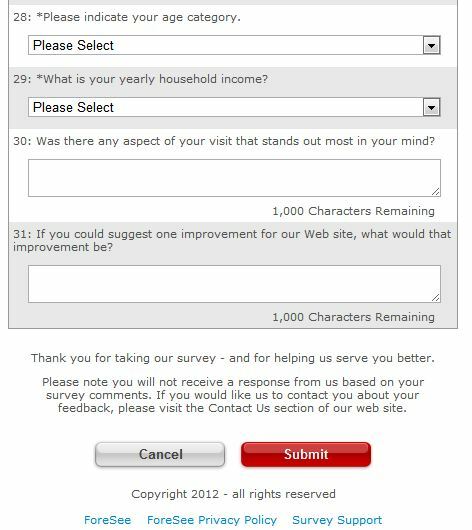 If you could suggest one improvement for our Web site, what would that improvement be?